[vc_row css_animation=”” row_type=”row” use_row_as_full_screen_section=”no” type=”full_width” angled_section=”no” text_align=”left” background_image_as_pattern=”without_pattern”][vc_column][vc_column_text]Being a racehorse involves a lot of travel. The horse will start off at the farm they are born, then by the time they turn two years old most will have traveled through an auction ring before traveling the country or even the world for their racing career. Justify is no exception – he first came to WinStar by way of the 2016 Keeneland September Yearling Sale. He was Hip 50 and was purchased by partners WinStar Farm, China Horse Club, and SF Bloodstock for $500,000. After being purchased, Justify came home to WinStar where he learned how to be a racehorse at the Hopewell division. It is at Hopewell that Toby Richards and Heather Stark teach young horses, like Justify, their first lessons including having a saddle on their back and walking through a starting gate. If you want to learn more about Toby and Heather, the Paulick Report did a story on them on May 10th that you can read HERE. Justify remained at Hopewell until WinStar felt he was ready for the next stage of his racing journey. At that point, he was vanned a mere 6 miles down the road to his new home of Keeneland Racecourse when he join trainer Rodolphe Brisset’s barn. Brisset, who trains fellow WinStar owned Preakness contender Quip, trained Justify for the five weeks he had him before Justify was sent to Bob Baffert for his racing campaign. Active racehorses traditionally stay with their trainer, not their owner, while they live and train at racetracks. Since Baffert’s operation is based in California with horses staying between Los Alamitos and Santa Anita, Justify got on a plane and moved to California last year. 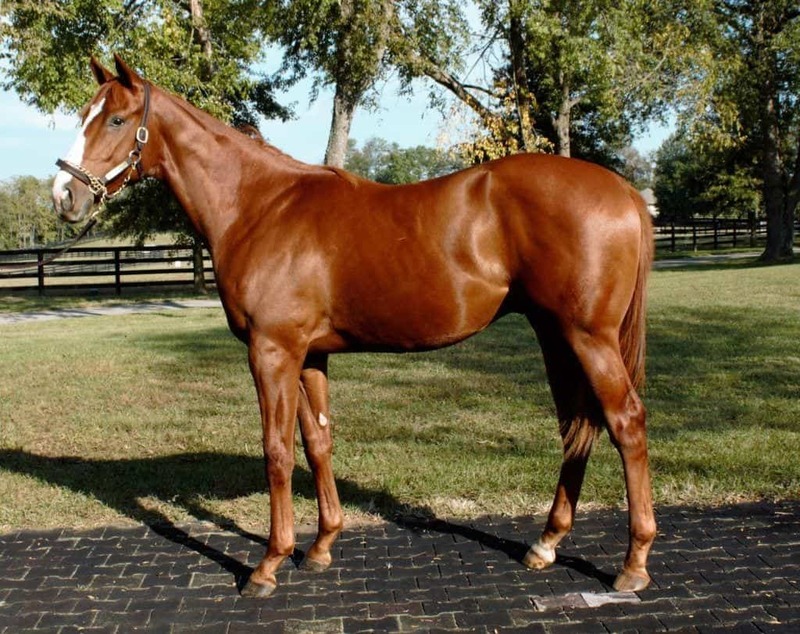 California is where he made the first three starts of his career when he wowed people in a maiden special weight, allowance, and finally the Santa Anita Derby. Justify left his California home for the first time in six months when he flew to Louisville on April 30th on his way to winning the Kentucky Derby just two weeks ago. 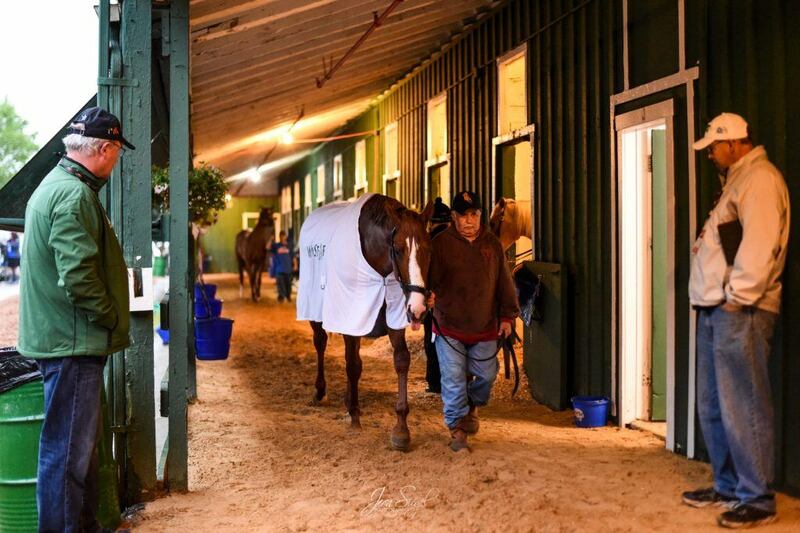 Instead of returning to California, Justify has settled into his new temporary home on the backside of Churchill Downs. He has stayed there since the Derby to train for the Preakness, and he arrived in Baltimore, Maryland on Wednesday afternoon.